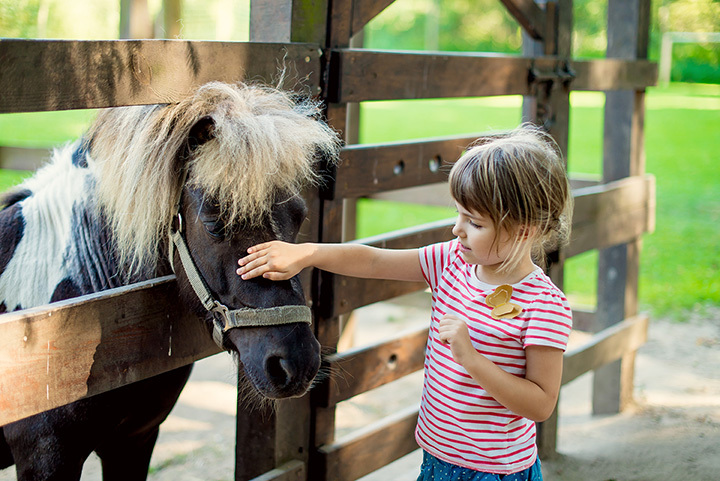 The 10 Best Educational Activities for Children in Washington State! There’s nothing quite like taking your child on an educational adventure. Whether it’s exploring wildlife, science, history, or different cultures, learning is a lifelong journey that starts during childhood and grows with you. Give the gift of knowledge to your children by participating in one of these great educational activities in Washington State! This Washington museum, according to its site, is where “fascination and FUN come together!” The museum is owned and operated by the Washington State Historical Society, whose mission is to partner with communities and “explore how history connects us all.” Explore the many preserved artifacts, books, and photographs of the state to get a taste of the state’s history. Children will learn about the state’s storied past, all while enjoying each exciting exhibit. Come learn and discover here at Mobius Children’s Museum and Science Center in Spokane. These hands-on experiences give children firsthand knowledge of subjects such as aerodynamics, hydrodynamics, magnets and a whole range of other fun things all done through interactive and engaging exhibits. Step into the planetarium and learn about our solar system or just peruse the dinosaur fossil exhibit to learn about earth’s past. Did you know Seattle is a main hub of Boeing? Take to the skies as you and your children learn the wonderful and fantastic history of flight. Did you know that the Museum of Flight in Seattle is the largest independent, non-profit air and space museum in the world? Enjoy hundreds of planes, interactive activities and exhibits. Step into a flight simulator, or take a journey to space in the 3D theater! Explore the climate regions and their animals from around the world here at Woodland Park Zoo! With climates and animals ranging from the African Savanna featuring lions, giraffes, hippos and zebras, to tropical zones featuring jaguars, gorillas and lemurs. There’s also a northwestern exhibit featuring bears, elk and wolves. Come and learn about amazing wildlife here at Woodland Park Zoo. Learn about northwest coastal native peoples through this cultural interactive excursion. Just take the ferry from Seattle to the northeastern shore of Blake Island and meet with tribesmen and women dressed in traditional garb. Enjoy freshly-cooked salmon and other traditional native eats as they regale you with stories of old from the native past. Learn of the people and their stories inside a traditional long house. Then, listen to their songs where you can sing and dance along. Their performances are designed to educate both the young and old about this rich culture. This geologic wonder near Mt. St. Helens is North America’s longest lava tube at 2.5 miles-long, but you don’t have to do the whole thing. Originally explored by a Boy Scout troop, the caves got their names from the group name the “Apes.” This is a fun adventurous trip that is best suited for kids 10 and older. Make sure to bring flashlights and extra batteries! Let the Anacortes Friends of the Forest field guide you and your family into the Anacortes forest to learn everything there is to know about this beautiful and luscious landscape. Learn about local flora and fauna. Learn about wildflowers and their names and uses, hike to wild spaces. All of this will help you and your children gain a great appreciation for nature. Come explore the sciences with your children here at Pacific Science Center! See world-class exhibits such as the terracotta warriors’ exhibit or make your way to the interactive science center to learn exactly how an electric motor works and what gyroscopes do. Have fun with other kids while competing in the bubble race all at the Science Playground! Whales of a wide variety are a significant part of Washington’s wildlife. This is the perfect place for children to learn about and understand the importance of these magnificent creatures. The Whale Museum’s is about “promoting stewardship of whales and the Salish Sea ecosystems through education and research,” according to its site. The Pacific Northwest is home to the Southern Resident Community of Orcas, which is an endangered population of these whales. Families are invited to come experience their beauty in the wild. Young kids can earn their Junior Ranger badge as the whole family walks through the Klondike Gold Rush Museum in Seattle to learn about the world’s last true gold rush. Seattle was a main leaving point for all of those star-struck miners seeking to strike it rich as they set off to one of the world’s most inhospitable places. This National Park Service-run museum will have you panning for gold and reliving the days of the Gold Rush for a fun and interactive learning experience!